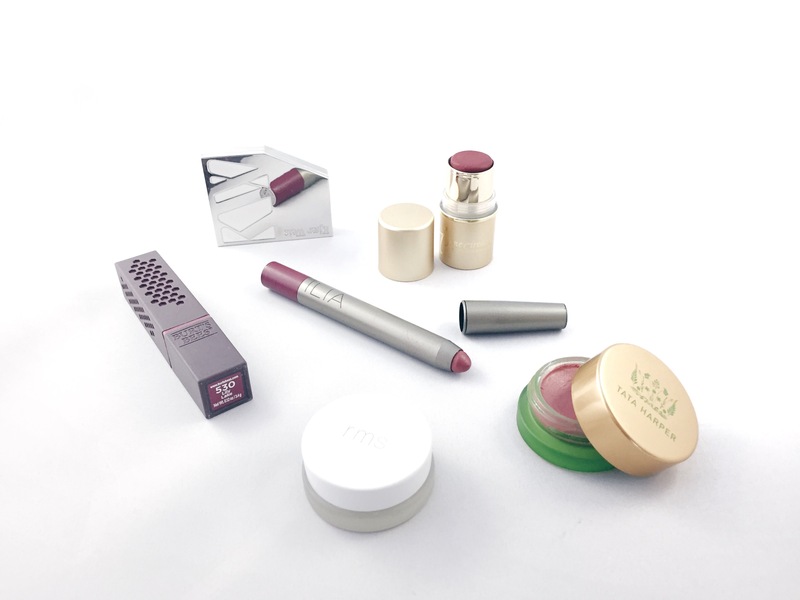 If you are starting out in green and/or natural beauty, lip products are always a good way to go because there are just so many good choices. Some of my favourites include Bite Beauty, Kosäs, and even Burt’s Bee. Today, I am going to review one of my recent finds from the States. I have been meaning to try out some beauty products from Honest Beauty, but they are hard to get out of the United States. To my great surprise, you can now easily pick up items from their line in Target. I wasn’t sure what to get so I decided to get their Truly Kissable Lip in Sheer Rose Kiss and their Everyday Primer because they both received nods from Allure magazine (and I love Allure). Honest Beauty is a brand created by the actress Jessica Alba. The main keywords used in their brand marketing are “safe” and “effective.” It is important to note though that they do not claim to use natural and organic ingredients. Their policy indicates that they do not use parabens, paraffins, silicones, talc, petrolatum, mineral oil, or synthetic fragrances. If you want to check out their ingredient lists, they are listed clearly for each product. This lip crayon is supposed to provide a sheer wash of colour giving a natural look on the lips. The formula is lightweight and will glide onto your lips for a quick and convenient application. The ingredients will also keep your lips and moisturized and cushioned. The main ingredients of this lip crayon are coconut oil, murumuru butter and shea butter. It has the standard twist-up lip crayon packaging. Like many twist-up crayons, there is always the risk of closing the lid improperly and ruining the product inside. This is happened to me on many occasions and I have ruined the original sharp point of the crayon. That being said, the packaging is quite sturdy and has withstood all the tossing around in the bottom of my purse unscathed except for a tiny crack in the lid. With its rounded crayon tip, it is quite easy to apply on your lips precisely. They even recommend that you can overdraw your lips to create volume without any problem since it is a tint. The texture is very balmy. It almost feels like I am applying a regular lip balm. I find that I don’t even need to apply a lip balm underneath it since it is so moisturizing and will not enhance the flakiness of dry and peeling lips. I really enjoyed this lip crayon. In fact, it was constantly on my lips for a few weeks. I think the main reason I love it so much is because it is so convenient. You don’t need to apply a separate lip balm underneath and it keeps my lips as moisturized as if I am using my favourite Burt’s Bee lip balm. Furthermore, don’t be fooled by the word “sheer” in the name because I would consider the pigmentation equal to a regular lipstick. However, this means you will need a mirror when you apply it. If there is one possible downside, it would be that it doesn’t wear super long. However, I guess you really shouldn’t expect that from a lip tint. It is interesting in that it has a tad of a shine for the first hour or so and then after that, the colour starts fading and it looks more like a matte stain. It holds up pretty well through casual drinking, but won’t last through a meal. I tend to wear it like a lip balm, reapplying it every few hours. VERDICT: If you are looking for a moisturizing lip balm with more than just a tint of colour, I would totally recommend this lip crayon.